history by entering the Guinness book of record with their latest, newest mobile device called Boom J7. and will be launch in Nigeria later this month. Boom J7 lacks 4G LTE which excludes it from the latest LTE (4G) enabled phones. However it supports both 2G and 3G networks and it’s ofcourse perfect for it. experienced in the previous versions of the Dual Sim Tecno Handsets. 5.1. 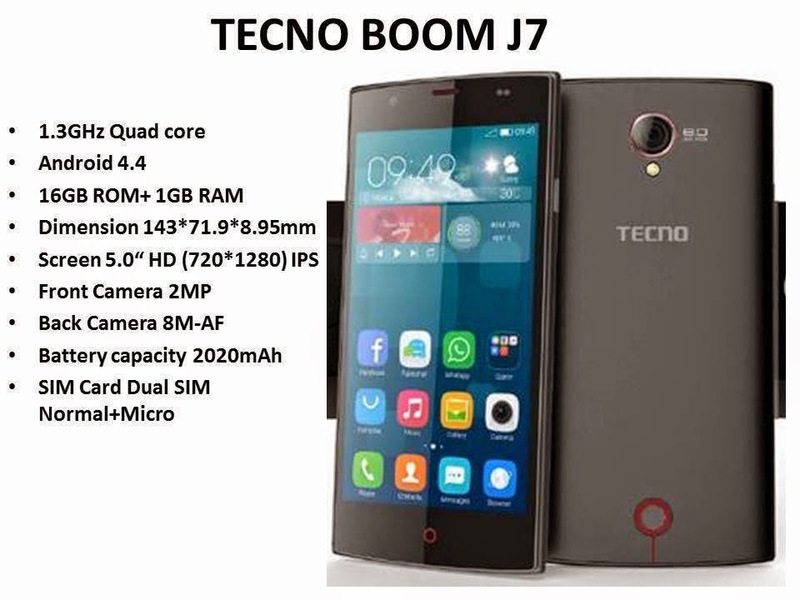 Tecno Boom J7 runs of Android 4.4.2 Kitkat operating system. and a capacitive touch screen. expect a smartphone to run effectively on a low capacity battery like 1500mAh. best neither is it the worst. Can I Change The IMEI? prof please i need an urgent help…. Am on a cross road in buying an android phone, should i wait for this device or should i go ahead and purchase Tecno L7? Hello Kalu, have you cross check the both spec and prices including the one recommended my dayveed "Gionee Elife E3? Why should anybody compare this toy to the infinix hot note? Sorry for posting this here..But I need your help.. I wiped my Tecno F5 on Monday due to low RAM..so I wipe the data and cache and restore back to factory setting.. After I install some games back to my phone after wiping it, when am playing the game, it automatically pause after every 15sec even my videos too..
Whats the capacity of the game? and whats the capacity of your phone memory? NoooooooooooOOOOo na.. noooo! Why didn't you back up? I always emphasis backing up of your Android device… So sorry about that. THe questiion is, is it soft brick or hard bricked? When you turn it ON, does it display only Logo? Try to format the phone's cache by performing a hard reset on it. I have tried all of that, formatting it by holding volume up+power button still nothing happened, cleared catch, reboot like a thousand times still nothing. it keeps restating untill it finally shows the Andriod robot logo saying ''No command''…..please somebody, anybody with same phone should help me please,Prof I believe in U.
Kossy please Guide him on how to do the cwm recovery so as to help me, cos my phone and I are Dormant. this is my mail…[email protected] I will really show appreciation to who so ever will be of help to me in this critical time. can send me d backup please? Anyone with CWM for boom J7? please email it to [email protected]. Don’t You Think Something is Wrong With Etisalat?